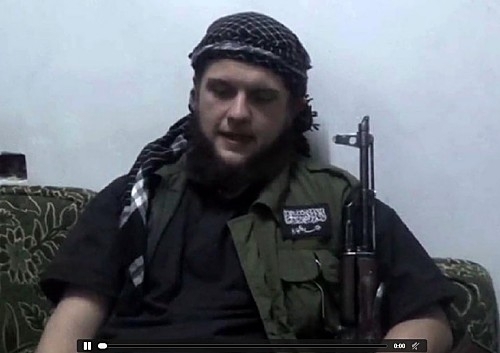 Moner Mohammad Abusalha grew up in Florida -- and detonated himself in Syria. Jihadist groups in the Middle East are increasingly recruiting Muslims in the West. Western-based jihadis train and operate in the Middle East. They often return home to the West where they can be indentified with Jihad symbols. In the photo above, Abusalha is wearing a flag patch of Jabhat al-Nusra, a Syrian group designated as terrorist by the United States. When Moner Mohammad Abusalha drove a truck packed with explosives into a restaurant in northern Syria in May, American authorities conceded that they knew little about how a young man who grew up a basketball-obsessed teenager in a Florida gated community had become a suicide bomber.